THE eagerness with which we want to make life easy for motorists is a narrow paradigm ('Faber residents squawk over road plan'; last Wednesday). The Land Transport Authority must design the city for people and not for cars. Perhaps traffic can be eased if we made it easier for people to cycle and walk, which is what the Nature Society (Singapore)'s plan for the green corridor envisions: a 40km stretch for eco-friendly and less carbon-intensive passage. The corridor could become an iconic regional attraction, which can be propped up by an economic model that earns revenue. It would also preserve our ecology and heritage for generations - a real winner for all. An open dialogue should be facilitated to achieve this. I AGREE with the Nature Society (Singapore) that there are compelling reasons to preserve the railway land as a green corridor ('Faber residents squawk over road plan'; last Wednesday). While the Government decides whether to adopt the green corridor proposal, the Land Transport Authority should put on hold the construction of the access road. This would ensure that future development of the corridor, if approved, would not be affected by the premature loss of key parts of the old Jurong Line. We can always build new roads and plant new trees, but a lot of time is needed to develop our heritage and natural habitat. IT WOULD be a great pity if an access road is built over the stretch of the old Jurong Line, which is part of the green corridor as proposed by the Nature Society (Singapore) ('Faber residents squawk over road plan'; last Wednesday). Not only would it disrupt the two essential features of the green corridor - its continuity and connectivity - but it would also erase a good part of the heritage value of the site. This part of the green corridor is one of the more wooded and scenic stretches rich in bird life. The old Jurong Line in reality starts much farther to the west in Shipyard Road and passes behind industrial yards and factories, becomes obscured in parts by major roads such as Jurong Port and Jurong Pier roads, goes across an old railway bridge over the scenic Jurong River and emerges again at Teban Gardens. 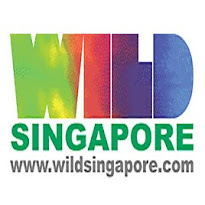 It then continues on from Teban Gardens in an almost unbroken stretch of greenery through the Faber residential area to Clementi, and finally ends at the Bukit Timah stretch of the existing KTM railway land. Although parts of the old Jurong Line between Jurong Port Road and Penjuru have become pave-over parts of some industrial yards, much of the green belt of the old Jurong Line is still intact. We ask the Land Transport Authority to reconsider the building of this access road, and to consider a more creative, sensitive and inclusive solution. We are not opposing development and realise the need to increase access opportunities for Faber area residents, but we also feel there are compelling reasons as indicated in our proposal to keep this a part of the green corridor. It connects many communities across western Singapore as well as green spaces, acts as a green transport link and preserves the little historical heritage we have left.